Silver fillings have been used during more than 160 years in our dental practices because it is a durable and affordable material. Nowadays it’s been proven that these fillings are, apart from not aesthetically pleasing, a time bomb. Amalgam fillings are made of a mixture of metals (silver, copper, zinc, tin…) which has 50% mercury (Hg). This heavy metal not only evaporates at hardly 20ºC, but it also chemically reacts with saliva, food and hot drinks. 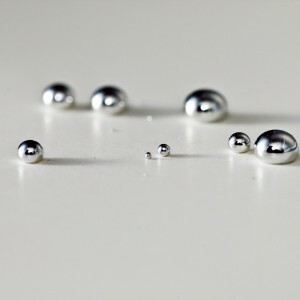 During the day, 34 micrograms of mercury are released from every metal filling and absorbed into the body. On top of this, metal amalgams have an electric current due to the union of the different metals – the higher the current, the more mercury will be released. Mercury acts in the body blocking certain hormones, receptors and enzymes. This is reflected in multiple illnesses, disorders and malfunctions such as: low vitality, irritability, coordination problems, headache, dizziness, trembles, intestinal pains, loss of appetite, memory loss, insomnia, muscle weakness, backache, allergies, nervousness, depression, weakened inmune system, anemia… The patient will then consult his/her doctor, who will unfortunately not be able to detect the origin of the ailment, as regular blood tests do not show the levels of heavy metal toxicity in the body. It is when some specialists will diagnose incurable chronic illnesses like psoriasis, fatigue, fibromialgia, depression, candidiasis, bronquitis… They will then try to alleviate the symptoms with drugs which only hide the real problem. Meanwhile, mercury is able to move around the system freely, causing all kinds of havoc. It is of uttermost importance to use a protocol which protects both the patient and the dentist from inhaling the toxic mercury gases. The use of special filter masks to avoid the inhalation of mercury gas. Physical barrier to avoid the ingestion of the removed amalgam (rubber dike). Avoid heating the amalgam by using water to remove it. Cut the amalgam with special drills. Adequate ventilation in the room. Use of Herbal medicine and Homeopathy to help detoxify the organism.